This cave is located on the West side of the canyon across from Center Creek. This only extends into the hill a good 30' or so and upon examination did not appear to have any signs of mineralization. Just a natural pocket, but a great place to stay the night and keep a watch of anyone traveling via the canyon floor. 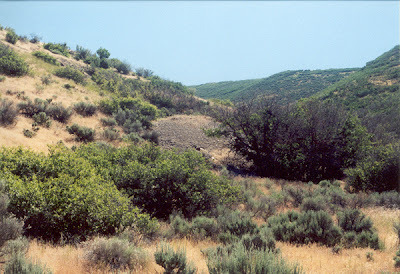 This mine is located just off the main road up Daniels Canyon. It is filled in now, but extended back into the hill about 75 feet following a strong quarts vein. The old Bethers and Boren Mine. This was an original Spanish mine and was filled in when Bill Bethers found it in 1896. This article was published on February 12, 1897, in the Wasatch Wave. All early settlers of this valley have heard that some years before the first pioneers arrived here, there existed valuable mines in the surrounding mountains which were worked by Mexicans. Those miners would return to their homes each fall, taking a long pack train of burros heavily laden with golden riches, which they had dug from mines which all of the first settlers said were located above this valley. One old Mexican said the mines were located about thirty miles from a large lake, and told how miners there had been driven away by Indians. Many miners were killed, only a few escaping to tell the tale of treasure left hidden in those mines. Now comes the claim that those mines have been found by Messers Bethers and Boren. 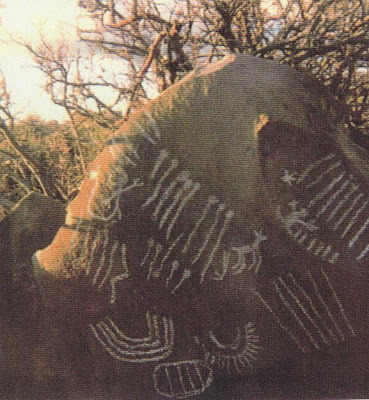 This is a picture of the rock taken where it was on the mountain, before it was removed to be placed in some one's backyard garden. The picture was taken by Mack Adams. An old shaft now caved in near Daniels Summit. This could be the mine told of in George Thompson's book "Faded Footprints" pg. 29. "There could be a lost ledge of gold near the top of Daniels Canyon. Wilford Binggeli operated a gravel pit close to the mouth of the canyon, but some say he spent more time prospecting than he did selling gravel. Binggeli was an experienced miner, having worked at mines all across Utah and Nevada, so when he confided in Gordon Taylor, a banker friend at Kamas Valley, that he had found a place near the head of Daniels Canyon where sometime in the long ago Spanish miners had dug for gold, Taylor paid close attention to him. Binggeli told Taylor that he had come upon a stringer of gold ore in an exposed rock outcrop, where miners of old had built fires against the ledge to heat it, and then threw water on the hot rock to crack and break it loose. Times were hard then, so Taylor wasn't able to loan Binggeli the money he needed to develop his find, and as the years passed Binggeli had to devote his time to raising a family. But he still maintains mining claims on that area, but with modern environmental restrictions and regulations, he has about given up on working them. 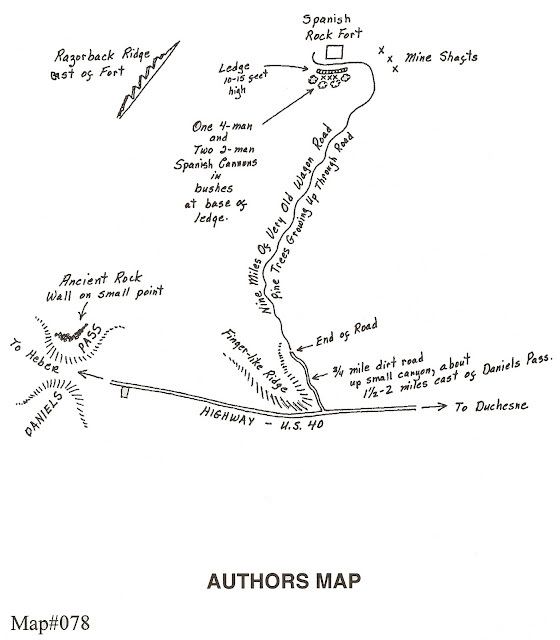 Binggeli's gold ledge in Daniels Canyon might very well be part of a gold vein discovered by William Foreman in 1891. In his journal, Foreman wrote of a find he made in May of that year, but he wrote that it was then part of the Ute Indian Reserve, where white men were not allowed to trespass. 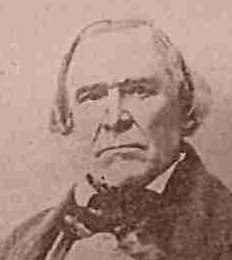 But apparently, Foreman worked his find in secret, despite it being on Indian land, for an entry made in his journal the following July reads: "Commenced to run a tunnel, no timber needed." Two years later, In August, 1893, another entry states: "I camped all winter while working at the mine. I am in 250 feet now." Nothing further about his mine appears in his journal that year, but no prudent man would dig a tunnel for 250 feet through solid rock where "no timber is needed" unless he had something darn good; nor was it unusual that he kept quiet about mining on the Indian Reserve. Shortly afterwards Foreman wrote of a tragedy which befell him: "My son, while fooling with a pistol, shot himself in the head. This has been a sore trial, for it leaves me without my best helper." No doubt the loss of his son contributed to the end of Foreman's mining, as did yet another problem he faced. He was kept busy dodging Federal Marshal Bauchman, who sought his arrest on polygamy charges. In fact, Foreman was arrested soon after his son's death and was sent to the territorial prison for having multiple wives. We can only wonder whether the discoveries made by Foreman and Binggeli were part of the same ore vein. They could be, for only recently a Heber Valley prospector discovered an old shaft in that same area. He has been showing pieces of beautiful blue-green peacock ore, and he says an assay report indicates that ore carries values of several ounces of gold plus substantial values in silver. Daniels Canyon might be a good place to do a little prospecting, especially along the summit ridge described by Aaron Daniels; perhaps somewhere close to Foreman's Spring. That area isn't on the Indian Reserve now." The old mill near that mine is visible from the road if you look closely. George Thompson shares the following story in "Faded Footprints". "Across Daniels Canyon from the Bethers and Boren Mine, in Boomer Canyon, Robert Giles discovered several intriguing Spanish tree signs. Cut into a patriarch pine is a Catholic cross, with the letter "U" atop its right arm. Only a short way further up canyon, hidden at the top of a rockslide, is a mine tunnel, no doubt as ancient as that old cross on the pine. Two elk hunters recently came upon it entirely by accident. According to their account, they crawled back beyond its caved entry, using only matches for light. But they made a hasty exit when they came upon two skeletons, one of a man and the other of a mule or burro. The human skull had a hole through it, as if made by a bullet, or perhaps an arrow. They claim taking that skull to the local sheriff's office, but apparently little investigation was made, for records disclose no follow-up. The hunters, more interested in elk than skeletons, never returned to Boomer Canyon. Aaron Daniels, the pioneer settler at Heber Valley, probably knew of that old mine, for in the history of Wasatch County it is written that he built a small cabin at the mouth of Boomer Canyon. One can't help but wonder why he would build his home in such a gloomy and secluded place, when he had the entire valley below in which to locate his cabin site. Remember, in his journal Daniels wrote of finding an old Spanish mine in Daniels Canyon. Did he build his cabin at the mouth of Boomer Canyon to be close to that mine?" In Gale Rhoades book "Lost Gold of the Uintah" pg. 162 he relates the following story and map about an old fort, mines and cannons. As we searched for the old fort we found the place indicated on the map. It is a nice level area where an old structure could have gone, but no evidence exists to indicate that anything was ever there. There are no mine tailing or cannons in the area either. "Around 1924 or 1925 an old man was riding his horse from the Uintah Basin through the Strawberry Valley on his way to Heber. He had crossed the Strawberry River and was entering the tree covered ridges near Daniels Pass when he came upon a very old and abandoned wagon road or trail. The roadway was, even at that time, so old that large pine trees had grown up through it since it had been abandoned. Puzzled by this, and being a man of some curiosity, he began to trace the old roadway north in an effort to determine its purpose. According to Mr. Patterson, "The small ledge, on which the fort had been built, had some sort of brown-colored stringers or veins running all through it....from the old fort, you could see all of the Strawberry Valley to the east, and to the west (toward Heber) there's a jagged ridge of rock that looks like a dinosaur's back protruding from the mountain." "Drive east about one and one-half or maybe two miles from the top of Daniels Pass on Highway 40 to where a finger-like ridge comes out toward the road. There, on the east side of the ridge and on the north side of the road, you'll see a jeep road. Follow this jeep road three-quarters of a mile or maybe a mile up the small canyon to its end. The old wagon road takes off from here, but walk up in and look close because it isn't always easy to see it. The old fort and cannons are about nine miles to the north up this old trail." A part of this old road - or another like it - can be seen, as that of a rocked up structure, just east of Daniels Pass and on the north side of Highway 40. 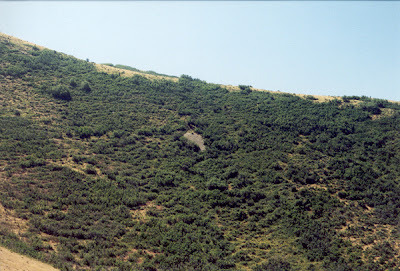 This can be seen from the highway near the tree line on a point of a small ridge." The old rock wall is still visible from the main road almost directly across from Daniels Summit Lodge just to the north of the cabins across the street.